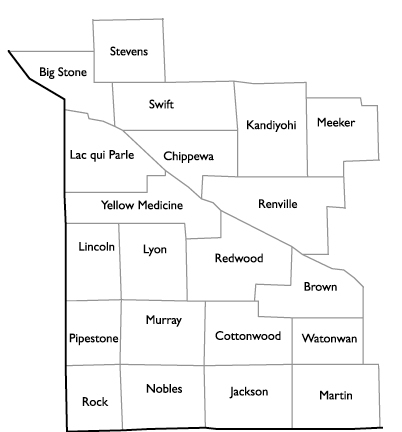 Our association membership includes over 390 Real Estate professionals working throughout 21 counties in the region of West Central and Southwest Minnesota. Your membership application will provide access to WCAR (West Central Association of REALTORS®), MNAR (Minnesota Association of REALTORS®) and NAR (National Association of REALTORS®). Forms that meet all the MN Department of Commerce requirements along with a form program that includes electronic signature capabilities and integration with the Multiple Listing Service. A legal hotline to answer brokerages real estate questions. Savings and discount programs with national companies like AAA, Dell, Lenovo, Chrysler, Avis, Budget, Hertz, REALTOR Credit Union, and OfficeMax. Find all our discount programs here. Call the WCAR office at 320-235-6881 with any questions on the membership process.